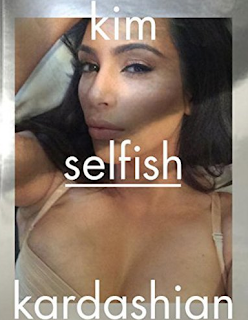 Kim Kardashian Selfie Book suffers disappointing sales. Kim Kardashian has 41 million Instagram followers, but RadarOnline.com has learned that her online popularity didn’t translate into huge sales for her book of selfies,Selfish. The book was released to much fanfare and social media promotion in May, and as of mid-July Kardashian was still promoting the book via Instagram posts. What’s more, the book is a critical flop online. Sitting at 1,607 in books, it’s ranked only 2.5 stars after 661 customer reviews. And those reviews have been scathing. “A poor tree died for this!” Tracy Young wrote. At least, however, it didn’t sell as badly as Kendall and Kylie Jenner’s sic-fi novel, Rebels: City of Indra. As Radar reported, that book sold just 13,000 copies in its first few months on sale. In comparison, Lauren Conrad‘s novel L.A. Candy reportedly sold 500,000 copies in its first year. DUHH!!! Who in their right mind would pay for a book that's nothing but selfies of someone else? Plus You could probably Google a ton of selfies of Kim online for free if you ever wanted them, because she's so narcissistic and vain.